In 2007, Seattle-based Mithun Architects created this design: the Center for Urban Agriculture. 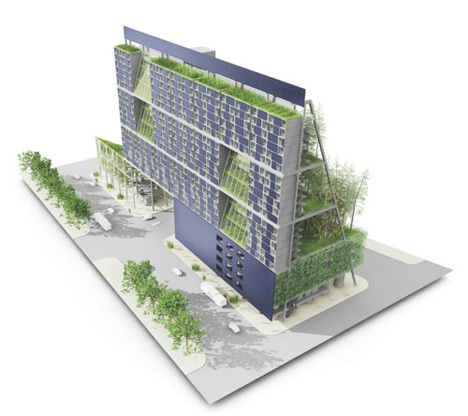 The vertical urban farm features shipping container apartments coupled with 22,000 square feet of rooftop gardens and terraces. There are no plans to build it just yet, but this design would most certainly bring some much-needed nature into an urban environment.